The Indian Army, Has Recently Published A Recruitment Notification For The Post, Which Is Mentioned Above. So Interested & Eligible Indians Can Apply For This Job Through Offline Mode, Within The Given Time Period. 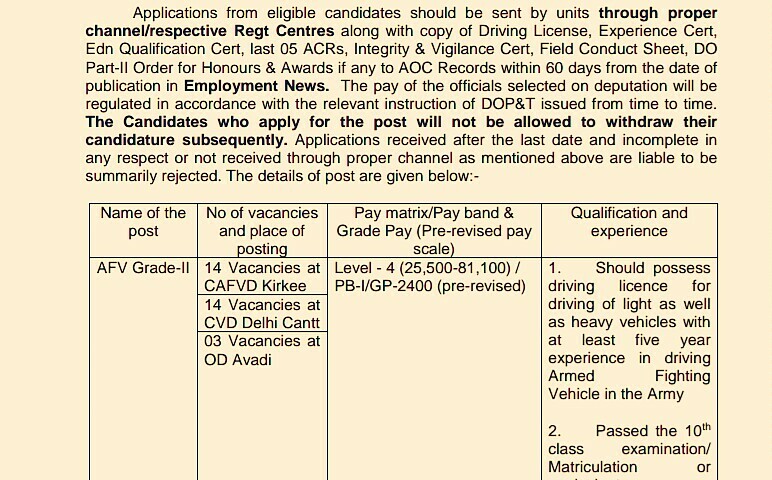 AFV Dvr Grade-II in Defence establishments located at Delhi, Kirkee and Avadi →31 Vacancies. 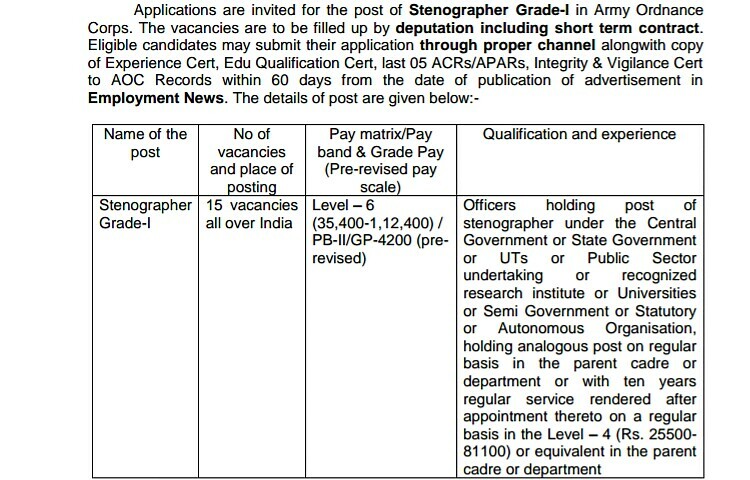 Stenographer Grade-I in Army Ordnance Corps→15 Vacancies. Total Number Of Vacancies →46 Vacancies, Kindly Go Through The Image's Below For Vacancies Distribution, Educational Qualifications, Scale Of Pay And How To Apply. (Credit- The Official Recruitment Notice Indian Army 2019). For More Info →The application format, eligibility criteria and other terms and conditions are available on The Indian Army Website ~The Official Website Indian Army. Now Apply For Stenographer & Driver Job Vacancy In Indian Army Recruitment 2019. Click Here To Download Application Form/Notification FOR THE POST OF AFV DVR GRADE-II IN DEFENCE ESTABLISHMENTS LOCATED AT DELHI, KIRKEE AND AVADI. Click Here To Download Official Offline Application Form/Notification FOR THE POST OF STENOGRAPHER GRADE – I AT AOC RECORDS .